Consider the color and style of the furnishings in the room. Are you happy with the current look and feel of the room? Do you want the room to be formal or informal, tailored or decorative, luxurious or understated? What do you want your custom window treatments to do? Do they need to clear a door or stop short of bookcases? Provide glare control, privacy or baffle street noise? How do you want them to function? Are the windows a focal point? Do they frame a view? Should the windows be a subtle backdrop to art, antiques or furnishings in the room? Do you want to play them up or play them down? 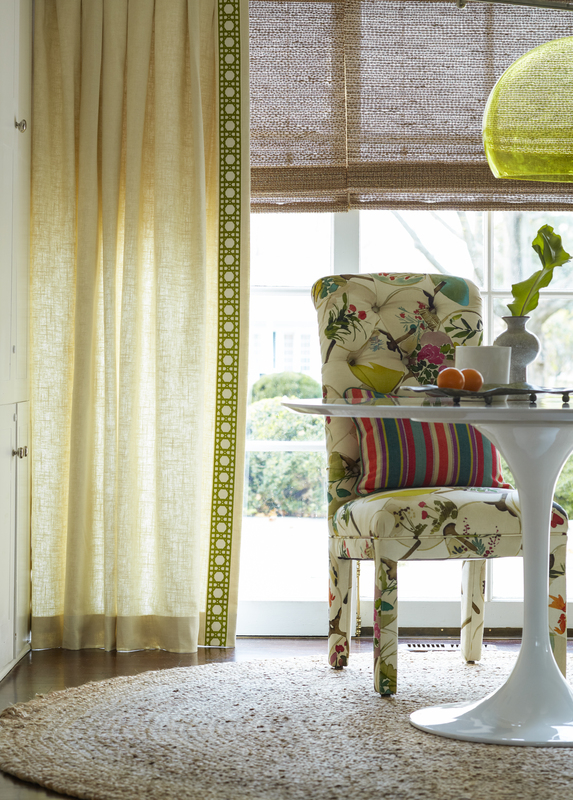 If you love color, there are many gorgeous hues in fabrics that will bring energy and pizzazz to any room. Or do you want the window treatments to blend in with the walls and be more of a backdrop? Then choose beautiful textured fabric in subtle colors that convey elegance and serenity. 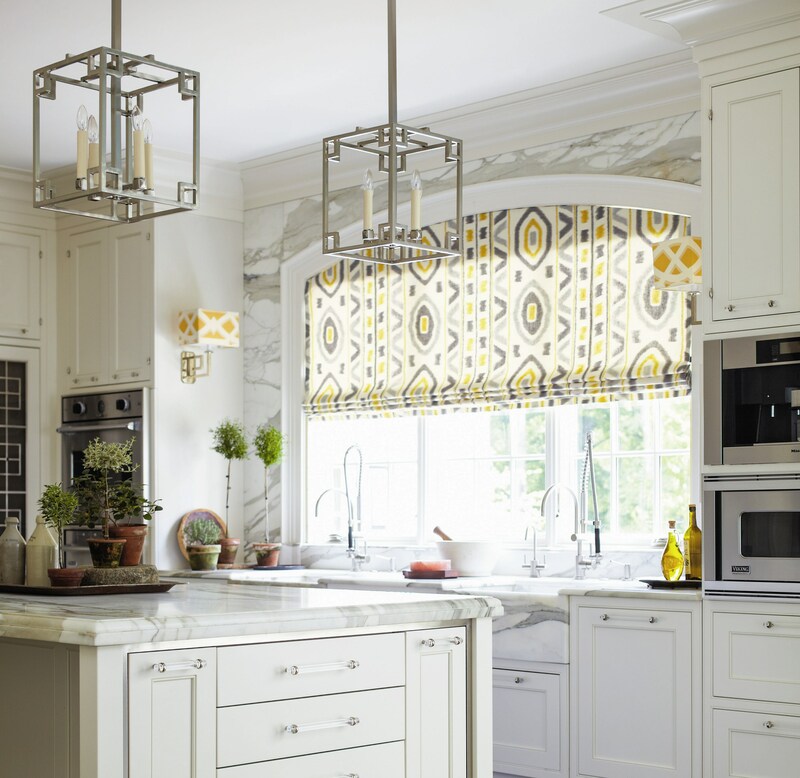 If you select the right designer fabrics for your custom window treatments, they will coordinate with the rest of your décor and pull all the other colors in the room together. and whether sun damage is a risk. Sheers, handkerchief linen curtains, window shades, blinds or shutters will protect your good furnishings from fading without being too intrusive. They will still admit light and soften the glare — and provide an element of privacy at night. Heat, sun and cold weather are important considerations. Two of the best defenses against the elements are interlining and layering. Interlining is a middle layer of a flannel-like fabric that is sandwiched between the decorative fabric (facing the room) and the lining fabric (facing the window). 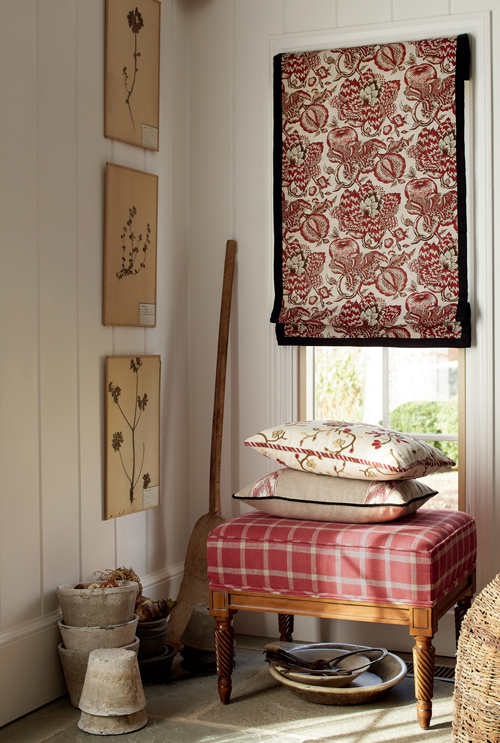 Interlining and heavier bump cloth adds wonderful body to a window treatment and also reduces sun damage and fading. If you visit historic homes or designer show houses and happen to brush up against the draperies, you'll probably feel the interlining inside. Layering treatments (adding shades, drapery panels, sheers or a valance or cornice) will minimize heat loss and save energy and money. The more layers you add, the more effective your treatments will be as insulation. Does your beautiful view become a black void at night? If so, it can create an uncomfortable feeling in a room. Consider window treatments that will provide evening privacy — plus add color, texture and a sculptural element to the room. Lush, soft fabrics at the window can be used to balance angular shapes of furniture and carpets. Almost any style window treatment you love can be made to work in formal or informal rooms. For example, in a sitting room, pleated draperies under a kick pleat valance looks striking and appropriately dressy. The same pleated draperies and contrast lining are used with Sunbrella® outdoor canvas fabrics on a sun porch, here with tiebacks added. The drapery treatment is the same — but the effect is totally different.